WrestleMania 35 is four months away! WrestleMania 35 is scheduled to take place on 7th April 2019 at MetLife Stadium in East Rutherford, New Jersey. As we all know it is WWE's flagship event and the longest running pay-per-view in WWE's history. 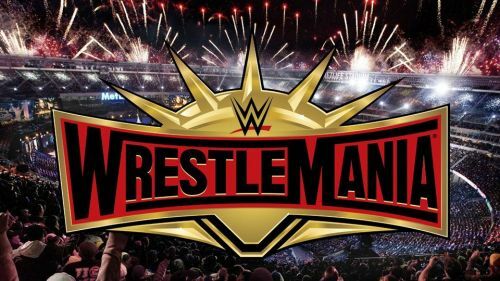 The past WrestleMania events have not received positive reviews from fans, as most of them have complained regarding the show being too long and also for the quality of matches being extremely dreadful. WWE has to change this perspective of fans, by putting surprising matches on this year's card that fans could not expect. There are still four months left for the event and the Royal Rumble pay-per-view which will begin the "Road to WrestleMania" is set to take place next month. So here are five surprising matches that could happen at WrestleMania next year. Sami Zayn and Kevin Owens could return as a team! Kevin Owens and Sami Zayn are set to return to WWE very soon. Last week two vignettes were played for their respective returns. It seems they might not return as a team instead they would work individually, but that would be a wrong move from WWE. If they end up feuding again, it would be boring because we have already seen that so many times not just in WWE but in other promotions as well. Owens and Zayn working as a team would be a better option because it would secure a lacking Raw tag team division also both can have a babyface run together. Currently, Bobby Roode and Chad Gable are the Raw Tag Team Champions, but they might have a short reign and AOP could win the titles back in a rematch after they lost due to their manager Drake Maverick. Then we could have a showdown between AOP and Owens and Zayn at WrestleMania. If the team of Owens and Zayn ends up winning, that presents Sami Zayn with his first main roster championship, while helping Kevin Owens become a Grand Slam champion. It will be a surprise as well as an exciting moment for the fans.